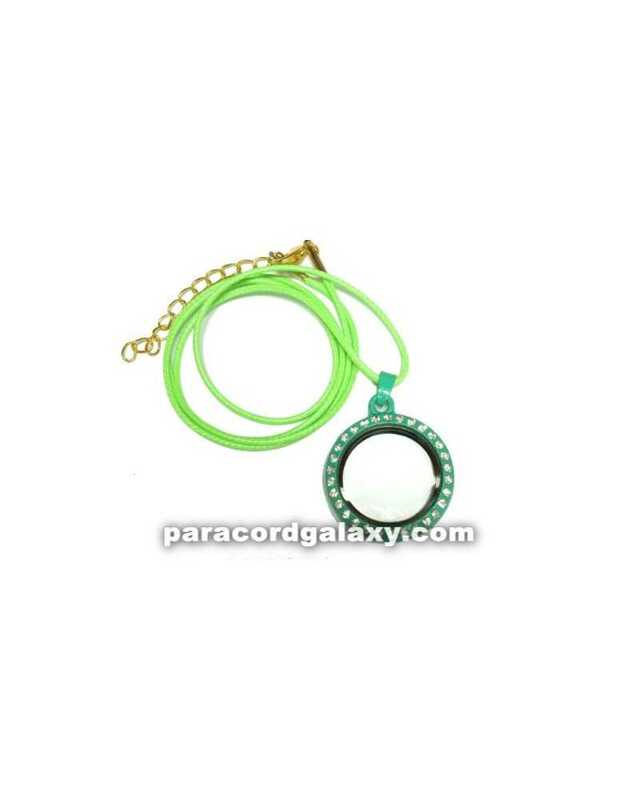 Green floating round locket necklace has clear stones on the front. Locket is used to hold floating charms. Charms add style and personalization. Various shapes and symbols available.